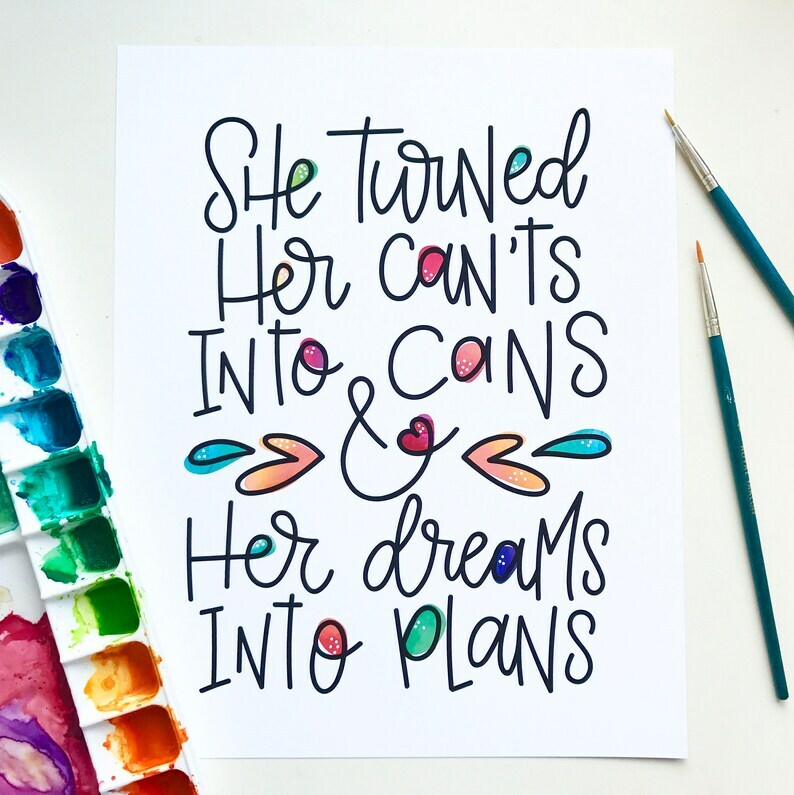 Digitally Hand lettered & mixed media watercolor - "She turned her can'ts into cans and her dreams into plans" print. I personally hand lettered the design, which means you won't find this exact design anywhere else. All watercolor elements of the design were created be me and digitized to be included in the finished design.